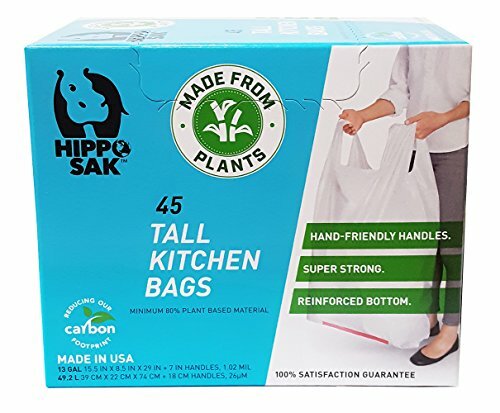 Plant Based Hippo Sak Tall Kitchen Trash Bags are proudly made from sugar cane instead of fossil fuels, allowing our bags to be renewable, recyclable and reduce your carbon footprint - and are Super Strong as ever! For every 1 kg (2.2 lbs) of plant raw material used to create Hippo Sak Plant-Based Tall Kitchen Bags, they reduce CO2 emissions by 2.15 kg and reduce the consumption of fossil fuel by 2 liters! Better alternative to recycled content or traditional trash bags.